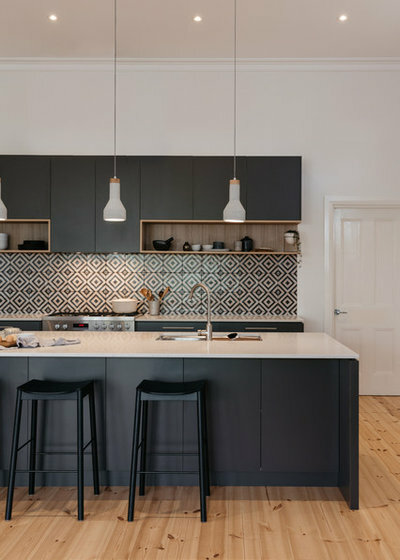 Kitchen renovations are high on the list of priorities for many homeowners, whether they’ve just moved into a newly purchased home, or have been living in a home for some time and their kitchen is ripe for an overhaul. 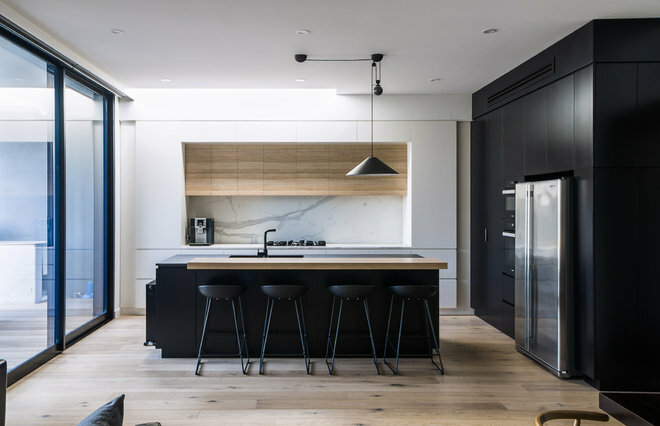 These kitchens topped the list of most-saved photos to Houzz ideabooks this year, revealing that we don’t just want a kitchen that looks fabulous – we’re seeking clever storage solutions and practical ideas too, to make this important room of the house easy to use and a pleasure for family and friends to gather in before, during and after a meal. Key features: Shaker-style cabinetry in soft grey will never go out of style. Key features: The combination of navy, marble and white is winning hearts across the globe, and brass accents add an appealing modern touch. 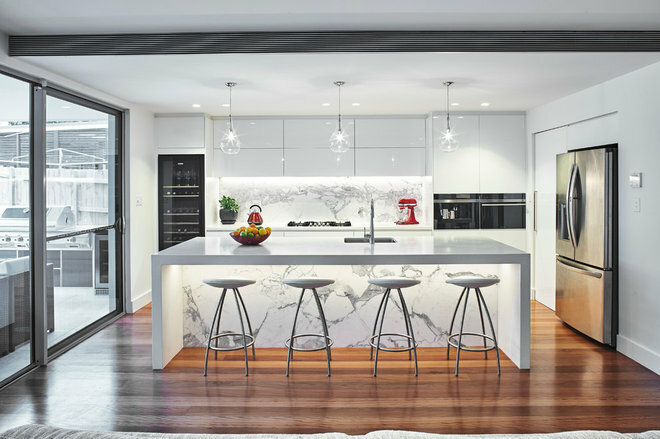 Key features: Marble can become the star attraction of a kitchen when clever lighting comes into play. 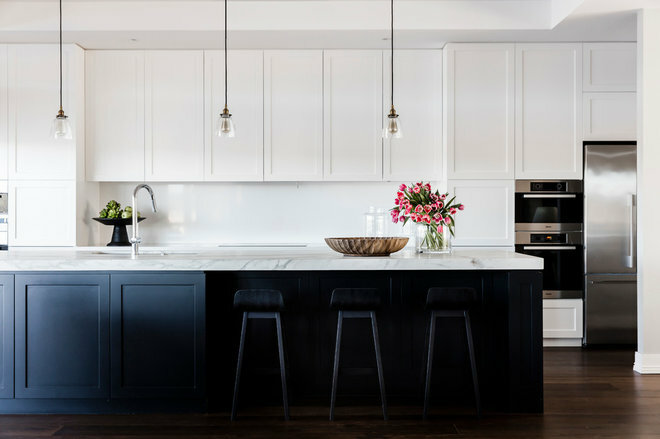 Key features: Black cabinetry tempered with timber, marble and white is the mark of a contemporary kitchen scheme. 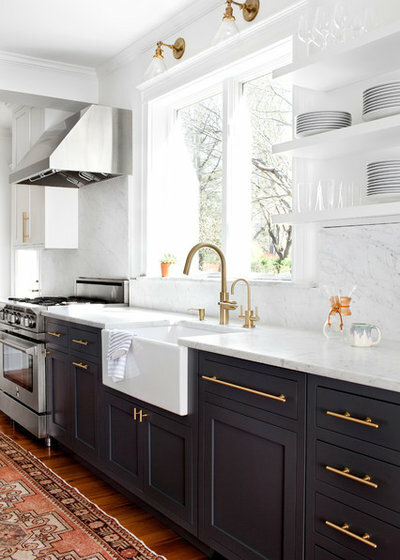 Key features: Calacatta marble gives this classic kitchen a luxe lift. 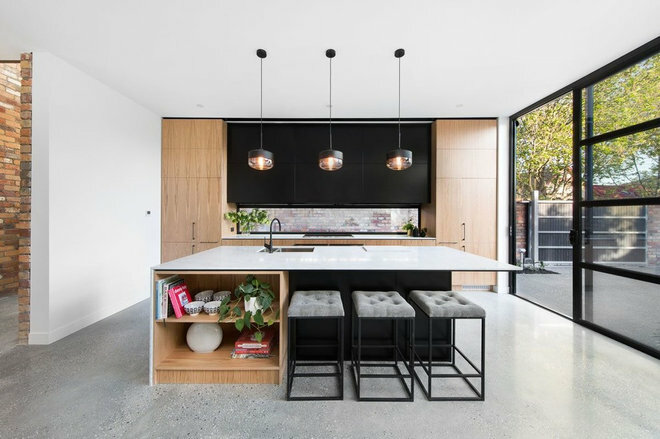 Key features: Timber and black cabinetry are a perfect match for polished concrete floors. 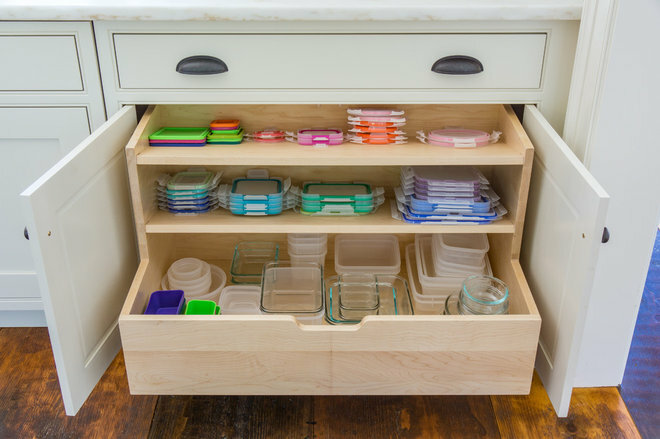 Key features: Innovative storage solutions like these just make life easier. 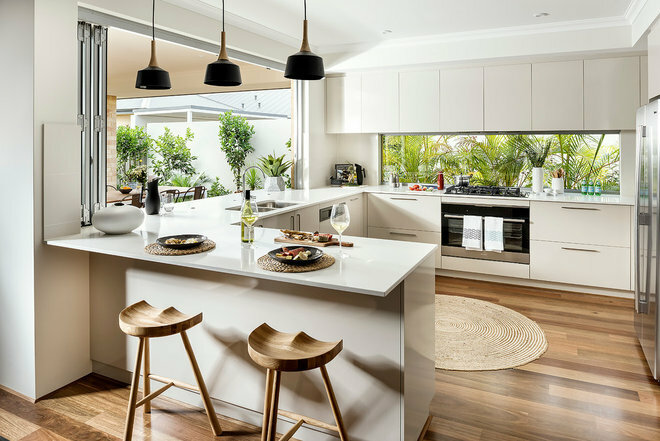 Key features: A standout splashback can make the blandest of kitchens beautiful. These Spanish Sevilla splashback tiles are from Ceramica Tile + Design. 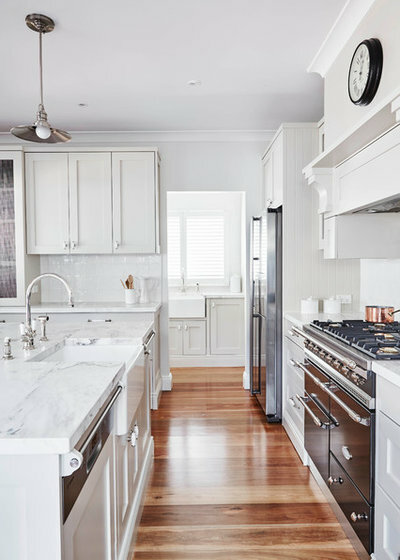 Key features: Traditional white kitchens are eternally on trend. 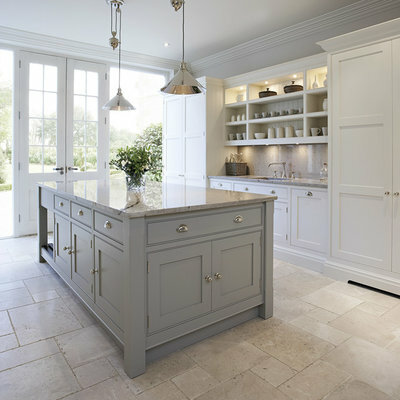 Luxurious Perrin & Rowe tapware and a premium Lacanche stove take this kitchen upmarket. Key features: A soothing colour scheme and a green outlook make this kitchen an inviting place to be.